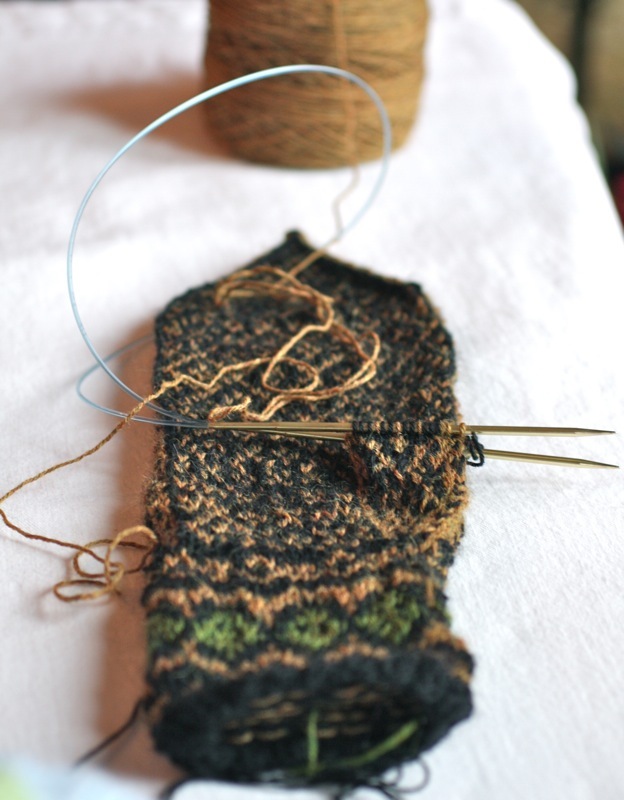 Work continues on the Andalus Mittens for my MIL. I had frogged the first lining, the Brushed Suri, because it was too thick and bought some Rowan Kidsilk Haze, which is working out great. I love the apple green color. I’m not holding it double, and it’s working out to be a fine lining. I’m working these mittens on Magic Loop, which I love. I’m even doing the thumbs that way! Those mittens look amazing so far! They are going to be so warm and toasty. These mittens are already so beautiful! I love the apple green lining too! Can’t wait to see the finished! 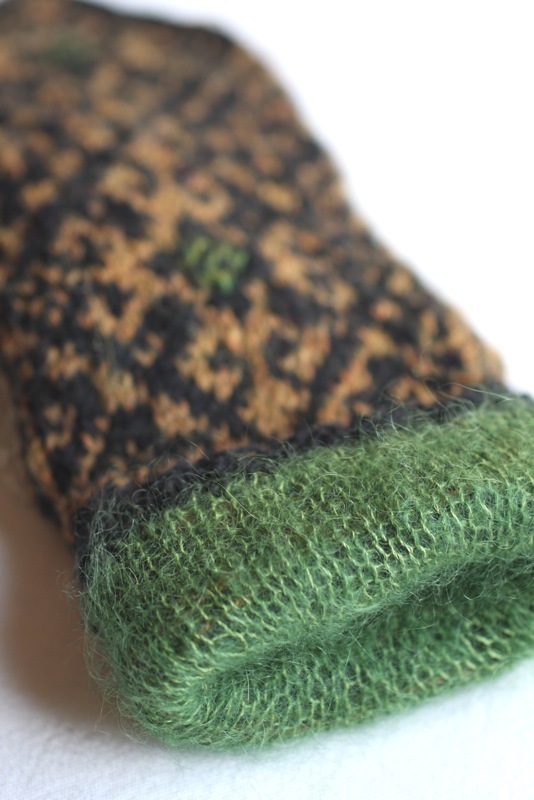 The green kidsilk is just so pretty! I just bought my first pair of addis to try the magic loop method for sock knitting…it looks so much more streamlined compared to using dpns. the kidsilk haze lining looks great — and I’m sure it feels divine!